Do you want that perfect skin, healthy hair, colorless armpit, firm breast and every other thing you admire on models everyday when you see them on your TV screen? Do you want to regain your self confidence once more? I know your answer is yes. But you might wonder if it’s really possible without spending so much money. Yes, it is. 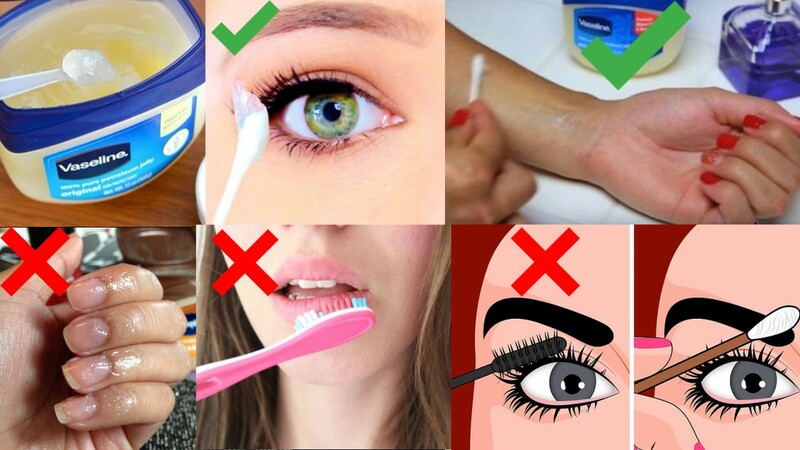 I am going to show you 10 amazing beauty hacks that will change your life for better. These tips are all natural and they cost less but they work wonders leaving your body in a perfect condition. Tip #1 is a very special beauty procedure so I won’t spill it out yet. Follow along and you will get to know what beauty tip #1 is. Make sure you do not miss out. What to use: You will need a perfume with a fragrance you desire and a hairbrush that is tender for your hair. Make sure that the perfume does not contain chemicals that can irritate or cause your hair to start breaking. Spray the perfume on the brush for a few times. Allow the perfume to get to the part of the brush that touch your hair. Gently use the brush around your hair. Repeat these steps again till you feel that your hair is styled to your taste. Why it works: Spraying the perfume on the brush first helps to move the fragrance round your hair in an evenly way. If you spray the perfume directly into your hair, some part of your hair will become more concentrated with the fragrance than other parts. 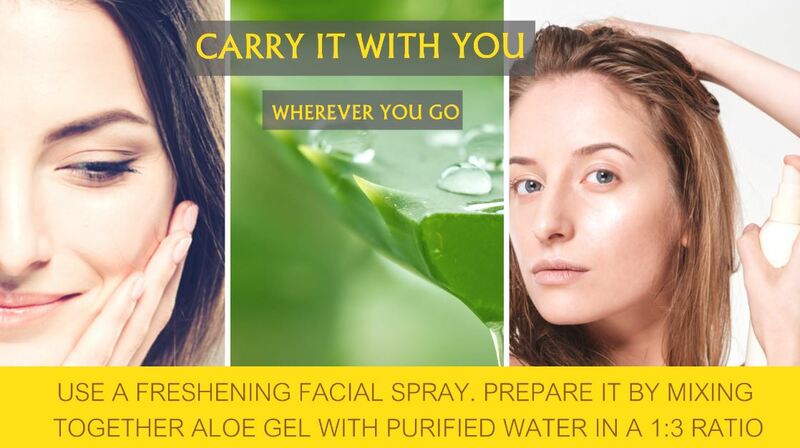 What to use: To achieve a moisturized face all day, you will need Aloe Vera Gel and a glass of clean water. Prepare Aloe Vera Gel by extracting the fluid from the leaf of an Aloe Vera plant. Put 1 tablespoons of the Gel in a small bowl and mix with 3 tablespoons of clean water. Apply it on your face every morning. Why it works: Aloe Vera Gel contains vitamins that helps to keep the skin supple and retain the moisture content of the skin. Also, the thick Gel stops dirt and other small particles from entering into the skin pores. 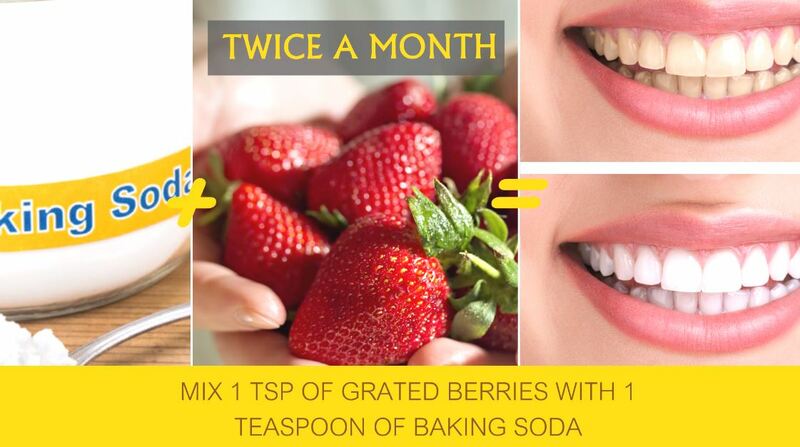 What to use: To make your teeth all white, you will need Straw berries and Baking soda. You can purchase fresh berries from your fruit store. Crush the berries into paste using a blender. Get a clean bowl and add 1 tablespoon of the paste. Also add 1 tablespoon of the baking soda and stir gently for 1 minute. Apply this mixture on your toothbrush and use as a toothpaste. Brush your teeth regularly with it twice a day. You will see instant result. Why it works: Strawberries contain malic enzyme. This malic enzyme serves as an astringent which helps to remove plagues and discolouration from the surface of teeth. Therefore the teeth regains its natural whiteness. Baking soda helps to neutralise the acidity found in berries. What to use: Activated Charcoal and Gelatin are the ingredients for this beauty tip. Gelatin is a protein obtained from animal skin, bones etc. You can buy powdered Gelatin from your local supermarket. Crush charcoal into powder with a pestle. Add 2 tablespoons of powdered charcoal into a bowl. Dissolve 1 tablespoon of Gelatin in warm water and pour it into the bowl containing the powdered charcoal. Stir the mixture gently. Apply this mixture on your face for 30 minutes. After this time, the Gelatin would have formed a mask on your face. Gently peel of this mask and wash your face with warm water. Why it works: Gelatin contains collagen which is a structural component of the skin. Activated charcoal helps to pull out dirt from skin pores leaving the skin complexion clear. Not only that, activated charcoal removes excess oil from the surface of the skin. Charcoal contains exfoliating agent which removes dead skin cells and leave you with a clear complexion. What to use: To make your heels tender, you will need Warm water, Baking soda and Vinegar. Pour 2 cups of warm water into a bowl. Add 2 tablespoons of Baking soda and 1 tablespoon of Vinegar into the bowl containing warm water. Mix the contents of the bowl well till it forms a cream. Before applying this mixture, wash your legs with clean water and pat to dry. Apply this cream morning and night for better result. Soon, your heels would become smooth and soft. Why it works: Vinegar helps to soften the skin on the heels. It acts as a peeling agent to remove cracked and dry skin. Baking soda leaves your heel smooth and soothes the cracks on the skin. What to use: To remove red spots on your face and body as a result of sunburn, you will need Baking Soda. Put enough quantity of Baking soda in a bowl depending on the extent of the sunburn on your skin . Add few amount of water into the bowl and stir continuously till it forms a paste. Apply Baking soda paste to the affected area and leave for 20 minutes. Apply twice a day. How it works: Baking soda is anti-inflammatory and so it helps to reduce redness. It also soothes and calms the skin. What to use: If you want to get rid of dark areas around your armpits then you will need to prepare a remedy using Potatoes. Get 3 or 4 big potatoes. Put these potatoes in a blender and a little quantity of water. Crush the potatoes and squeeze out the water from it. Pour the water in a container and cover. Apply this potato juice around your armpit for 20 minutes each day. Wash your armpits with warm water after use. The skin around your armpit would brighten almost immediately. Why it works: Potatoes contain catecholase which helps to lighten the skin around your armpit. Potatoes also have mild bleaching agent which removes the dark shades around your underarms. It can also remove wrinkles and stretch marks due to its antioxidant properties. What to use: Blackheads can be very stubborn to remove. Sometimes they leave your face with a rough texture and appearance. To remove blackheads you will need Flour, Honey and Warm water. Mix 1 tablespoon of Honey and 1 tablespoon of fine flour in a bowl. Add 3 tablespoons of warm water into the bowl and mix properly. Make sure that the mixture is smooth and not overly thick. Apply the paste to the affected area and allow for 20 minutes. Then rinse afterwards. The blackheads will disappear immediately. Continue this remedy once a day for maximum benefit. Why it works: Honey contains essential minerals that helps revitalize the skin. Honey also has antimicrobial agents that kills germs and bacteria that cause blackheads. Flour helps to smoothen the skin and conceal blackheads and other spots. What to use: To have a beautiful and strong look nails, you will need Lavander oil, Coconut oil and Honey to prepare this simple remedy. Mix 1 tablespoon of coconut oil and 1 tablespoon of honey. Add a few drops of Lavander oil and stir the mixture gently. Store the content in a container. To use this remedy, get a nail brush and apply this mixture over the surface of your nails. Do this once a day. You will see results as your nails grow. Why it works: Coconut oil contains nutrient that helps in nail growth. It also contains Antifungal agents. When mixed with honey, they both give the nails a glossy appearance. What to use: Are you tired of having hairs all over your legs? Then try a remedy of Sugar and Lemon juice. Pour 4 tablespoons of sugar into cup and stir to dissolve properly. Get another bowl and add 20ml of lemon juice. Pour the sugar solution into the bowl containing lemon juice and stir. Then add another 20ml of water to it. Apply mixture to a sticky paper and cover your legs with it for 20 minutes. Pull away paper and you’ll see the magical effect. Why it works: Sugar solution when mixed with lemon has the ability to weaken the hair follicles around your legs and therefore causes the hair to fall off. What to use: To prepare this remedy, you will need Ginger and Cosmetic clay. Grind the ginger into powder. Mix 2 tablespoons of the ground ginger with 5 tablespoons of cosmetic clay in a bowl. Then add 10 tablespoons of water and stir properly. Apply this remedy to any of your body part including Stomach, Hips and Arms. After applying the remedy, wrap your with a transparent polythene and wait for 10 minutes. Then go and wash off. Use this remedy once a week for maximum effect. Why it works: Ginger when mixed with cosmetic clay smoothens the skin and remove cellulite. Ginger is also used in herbal medicine to improve the state of ones health. What to use: Having that black patches underneath your eyes for long? To remove them, make use of Coffee grounds. Mix 3 tablespoons of coffee grounds with 3 tablespoons of coconut oil. Apply around the skin beneath your eyes for 4 times a week. 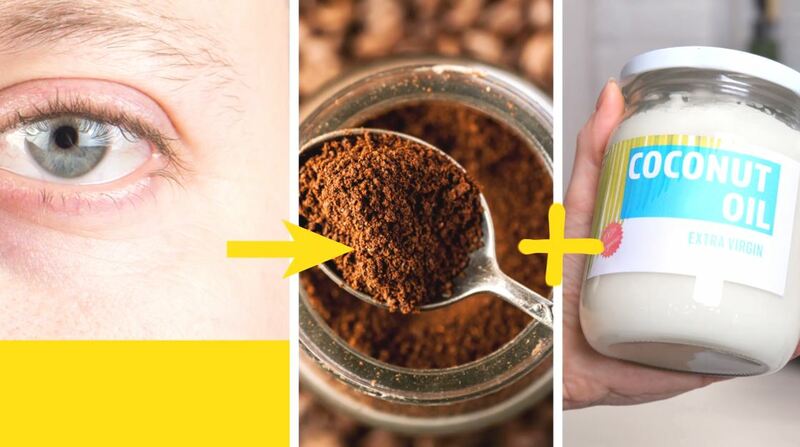 Why it works: Coffee has caffeine that has both anti inflammatory and soothing properties that helps the skin around the eye. Coconut oil has anti aging properties that reduces wrinkling and discoloration of the skin around the eyes. What to use: Having long eyelashes is beautiful. To achieve this, a blend of Castor oil, Aloe Vera and Vitamin E are needed. You can get vitamin E from your drug store. Get an empty small bottle, preferably a Mascara bottle. Pour 1 tablespoon of Aloe Vera Gel and 1 tablespoon of Castor oil and shake well. Then add your Vitamin E and allow for a day before use. Use the mascara brush and apply the remedy on your eyebrows and lashes every night for a month before going to bed. Always remember that consistency is the key. Your eyebrows would soon grow long and beautiful. Why it works: Castor oil when mixed with Aloe Vera Gel contains nutrients for the hair follicles and thus promotes quick hair growth. Vitamin E is a powerful antioxidant and therefore provides a good environment for the scalp to facilitate hair growth. What to use: Your regular cooking salt is needed for this remedy. You can get cooking salt from your local food market. Simply add 2-3 tablespoons of cooking salt to any shampoo of your choice. Make sure that the salt mixes properly with the shampoo. Apply on your hair and wait for 5 minutes. Do this whenever you want to wash your hair. Why it works: Cooking salt has been known to have antibacterial activities. No wonder it is sometimes used as a food preservative. Cooking salt kills germs found in your hair and makes the root of your hair clean for a long time. What to use: Every lady desires a firm breast. It is interesting to note that simply using Vaseline (Petroleum Jelly) can bring the desired result. Get a pure Vaseline and rub it gently around your breasts area. Take a sizable amount and massage deeply into the skin of the breast and chest. Do this before going to bed at night. Overtime, your breast regains it firmness. Why it works: Petroleum jelly helps to retain the elasticity of the skin. Not only that, the skin is moisturized and appears brilliant. Make sure that you try any of these beauty tips. Please leave a feedback message for us. Very Gud Article it contains lots of knwledge about beauty . Simple tricks helps in makeover of once body . Very good ideas. I can’t wait to try them! Thank you for these natural beauty tips can’t wait to try them. About legs hair removal remedy…. You did not mention clearly that do we have to add water with 4 tablespoon in a cup? My Simple Remedies Copyright © 2019.